This has been a favorite Café recipe for years, and though I shared it in the early days of the blog (with these Cider Poached Apples w/ Cinnamon Pastry Stems), it’s difficult, if not impossible to find in the deep, dark recesses of The Café archives. I felt like the delicious, unadulterated sauce needed a page of it’s own, so here it is! Once you make it, I think you’ll agree; it’s so much better than anything you can purchase. And guess what? I’m quite certain you already have all the ingredients needed to prepare it. If you have 10 minutes to spare, (less time than it takes to run to the market) you can have your own jar, cruet, bottle of this fabulous Ridiculously Easy Caramel Sauce. And you’ll NEVER use that grocery store stuff again. P.S. Did you notice the yummy dessert in the photos? You’ll want to make a batch of Ridiculously Easy Caramel Sauce over the weekend. That way you’ll be all set for the World’s Easiest Apple Crumble, Monday’s post. You don’t want to miss this one! 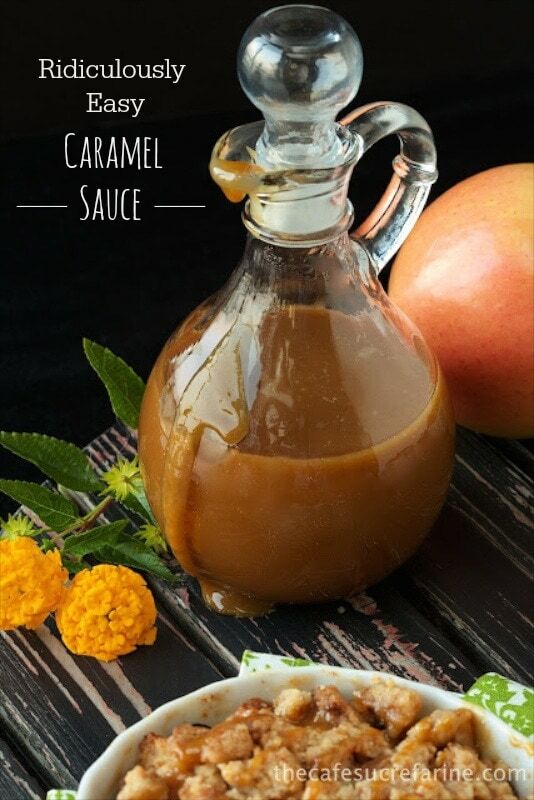 A super simple, super quick way to make absolutely delicious caramel sauce and only pay a fraction of the cost of the store-bought variety. Melt butter in a medium sauce pan over medium heat. Add brown sugar and whisk vigorously to combine. Add cream. Bring to a boil, then reduce to a low simmer and cook for 5 minutes, stirring frequently. Add vanilla and a pinch of sea salt. Stir until combined. Serve warm or allow to cool. Stir vigorously, then store in refrigerator. Mixture will thicken as it cools. After refrigeration, warm slightly in the microwave or on the stovetop. Hi Deidre, I haven’t tried freezing the sauce but it keeps well in the refrigerator for at least 10 days to 2 weeks. Your delicious and easy recipe is for butterscotch sauce. 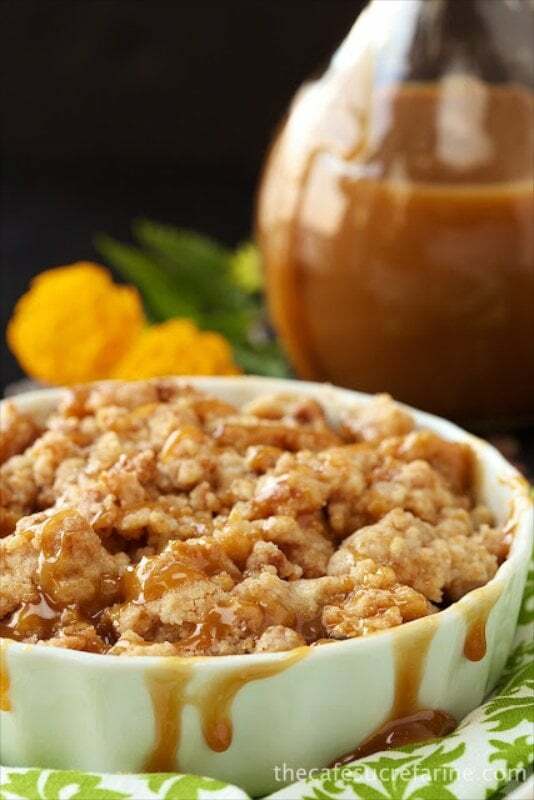 Caramel sauce is made with white granulated sugar melted to amber colored syrup. Thought the cooks here should understand the difference between the two. Hi Louise, I use salted butter. This was TO DIE for!!!!! 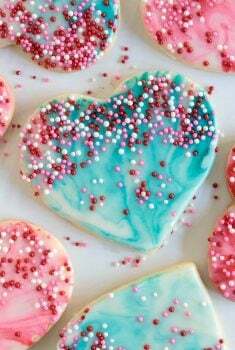 I would love to make a large batch to give out as favors at my sisters baby shower. Could I triple this recipe? Quadruple? Hi Anita, thanks so much. Yes, you could definitely triple this recipe (or more). Enjoy! Does this harden when heated up and poured over ice cream? I’m trying to find a recipe that won’t harden up. I LOVE this recipe! 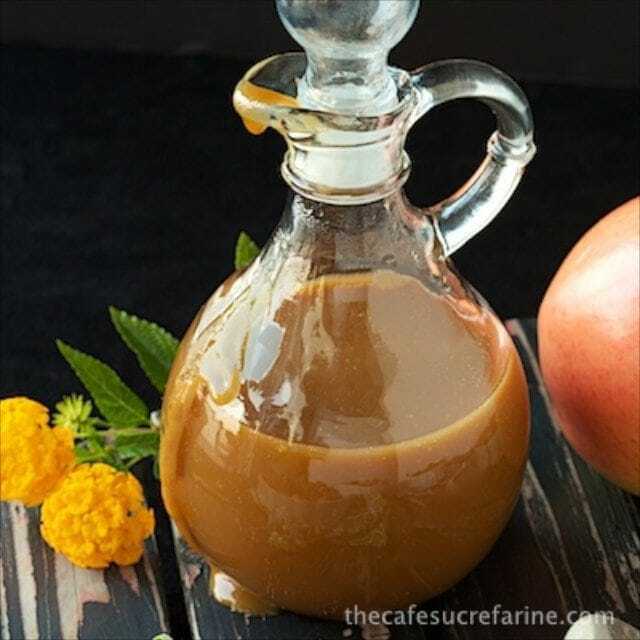 My friend discovered it few years ago and it’s been my go-to caramel recipe ever since! 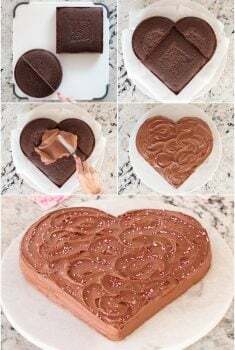 Question – have you ever tried to bake desserts with this recipe? 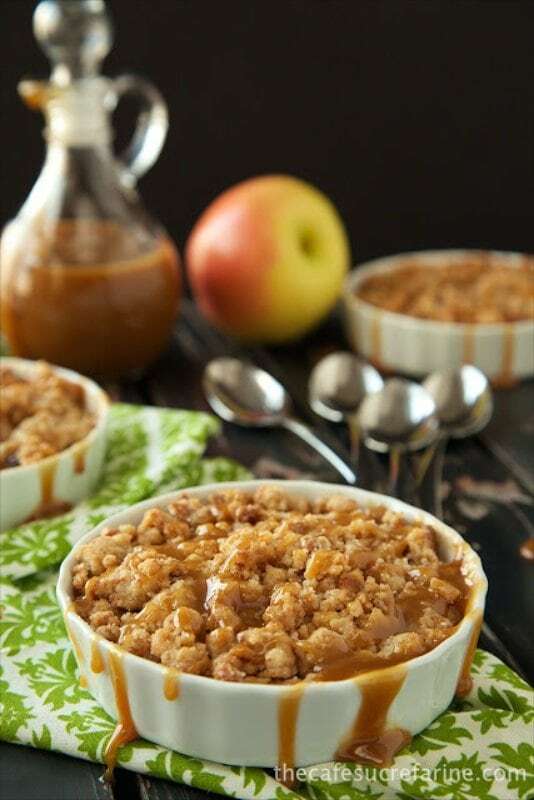 I tried it once and the caramel kind of…evaporated into the rest of the mixture (I was making an apple crumble that required you drizzle caramel sauce with the apples before popping it into the oven). Do you think the recipe can be modified (less cream?) to help it keep its consistency in the oven? Or should I stick to drizzling this heavenly sauce over/on top of goodies instead? It’s pretty easy too and I think you’ll have better results. After researching a gazillion (ok…maybe a dozen) different caramel sauce recipes to go over a chocolate turtle cake, I decided on yours. I’m glad I did! Not only was it easy, the sauce turned out smooth, delicious, and was the perfect addition to the cake. I didn’t have vanilla bean paste, but used an all-natural, alcohol-free, vanilla from the coop (it’s more like a vanilla syrup than the regular runny stuff). Anyway, thanks for the recipe! Tom, we’re so glad it worked out for you. We’ve got a jar in our refrigerator right now! It’s almost a staple in this house! 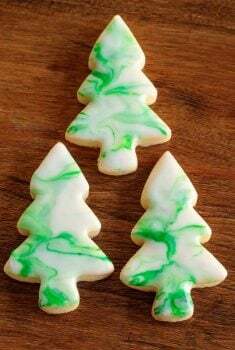 I want to make this for dipping apple slices for a girl scout halloween party. Does it need to be kept warm for dipping or is it creamy enough once it cools. I’m trying to figure out how I can keep it warm for about an hour until it’s time to dip. The party will be in a classroom so I don’t think I will have access to a microwave. I was planning on pouring it into individual plastic condiment cups for each of the girls and then have a lazy susan of toppings they can dip the caramel apple slices in;, such as, crushed oreos, pretzels, mini m & m’s and mini chocolate chips. Will this sauce consistency work for my plan? Any suggestions? Hi Pam, you shouldn’t have to keep this warm. It will thicken a bit as it cools but not so much that you couldn’t use it for dipping. 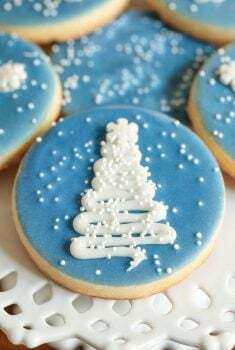 I would test it out in advance, then you would know if you need to make it a little thicker – less cream or thinner – more cream.